Have you ever stopped to look at your bank account and wondered where your money went? If so, you’re not alone. Having a family budget and sticking to it is sometimes viewed as the “uncool” thing to do. However, it’s something every single family needs to do. You don’t agree? Let’s take a look at whether your family really needs a budget. If you have an income, then you definitely need a budget to help you keep track of it. Not having one will only cause the money you are bringing in to go right back out the door. Even worse? It will go right back out without you having any clue where it actually went. Even if you don’t have an income personally? I’d wager a guess that you do have expenses. Having a budget means that you can easily keep track of them so your expenses don’t end up eating you out of house and home…literally. Are you often confused where your money is going? Families without a budget are often very confused when they look at their bank accounts. Maybe they spent too much eating out or the kids’ sports are costing more than they can handle. Perhaps they just aren’t sure, but either way, not having a set budget in place opens your family up to overspend in ways that you might not ever imagine. Are you planning on building wealth…ever? If you’re planning on saving money and building wealth at any point, having a set budget is a MUST. You simply can’t build your savings and your net worth without having a budget set up to tell you where your money needs to go. Did you answer yes to any of my questions? I’d be willing to bet that you did! Most families would. If you did, you need to make sure that you have a budget set up. They’re not as hard to create as you might think and your wallet (and bank accounts) will both thank you in the long run! 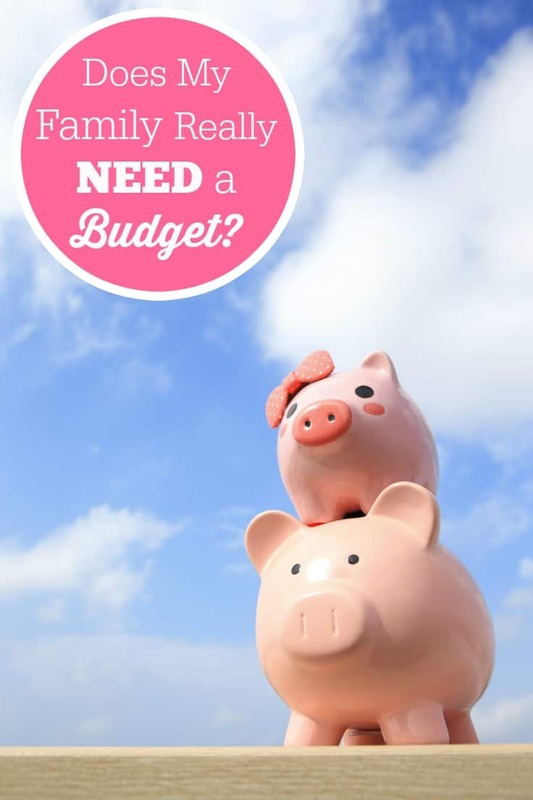 Does your family need a budget? I know what you mean when you say that some people think sticking to a budget uncool. I happen to think it’s super cool, but I have friends that like to act like money is no object and buy what they want and then turn around and complain about having no money. Drives me nuts! Everyone needs to budget and the best time to learn is when you’re young! I think everyone needs a budget,like everyone who is an accountant will tell you all the people who flaunt their money and buy everything have nothing but debt.